Finally Getting Around to What’s Been Sitting in my Stash for a Year! When I first started crafting last summer, I saw these free pattern sheets at Walmart and took this one for the heck of it, even though I didn’t know how to crochet at the time. Well, I can finally crochet well enough, and so I decided to attempt this one last night. I managed to finish everything but the wings before I went to bed, and I just made and attached my version of the wings this afternoon. 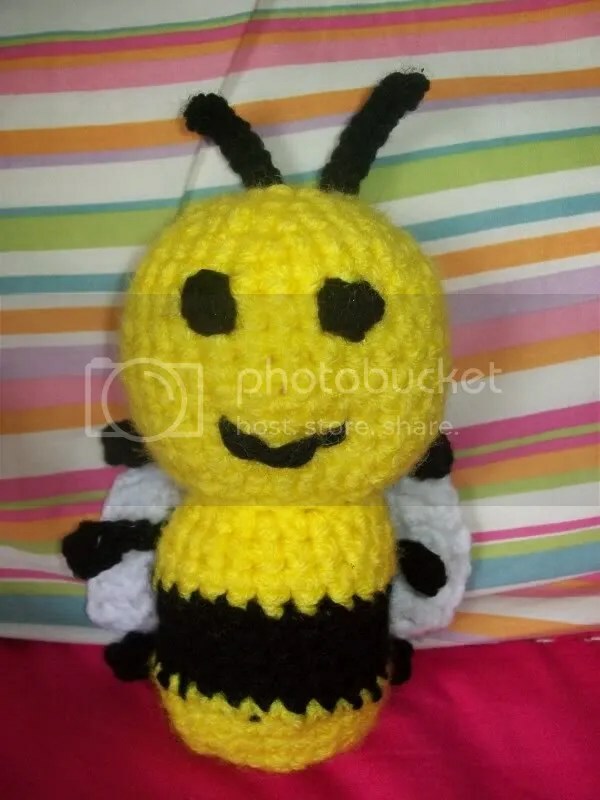 May I present: The Most Adorable Bumble Bee I’ve Ever Seen!